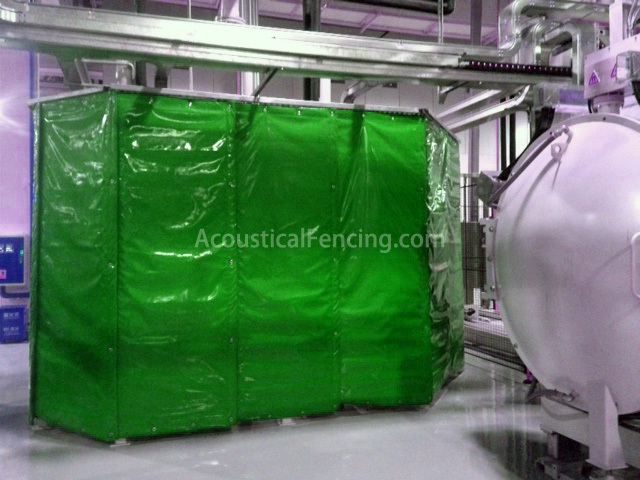 Blender sound enclosure provide maximum noise reduction by incorporating acoustic fencing and noise absorption properties in the one curtain. Fully portable, they reduce noise by the required number of decibels to help you comply with government legislation and keep on working, without disturbing the environment. Soundproofing your construction site allows workers and contractors to work for extended periods, thus increasing efficiency and profits. 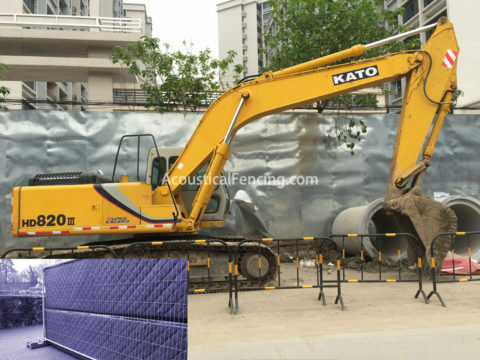 The acoustical enclosure fencing is manufactured to suit a wide range of noise frequencies. They have been lab-tested to provide 27dB reduction. 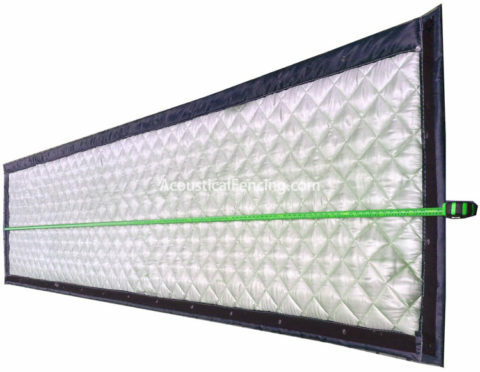 Our blender noise enclosure is manufactured to provide a temporary noise reduction screen around plant sites or enclosures around noisy industrial procedures such as demolition works. They are quick, safe and simple to install so you can get the job done faster. 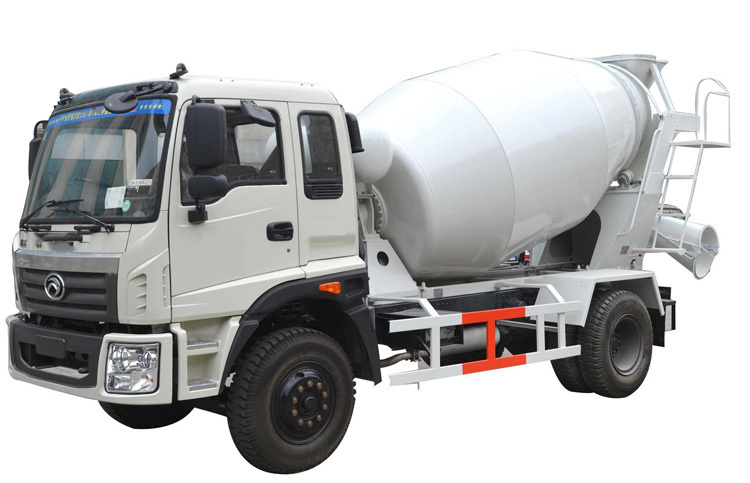 They are great for either short or long term applications and fully transportable so you can move them from site to site. These curtains are able to be hung from temporary site fencing, hoarding and scaffolding. They are fire and weather proof and can easily incorporate vision panels, access doors and other penetrations. 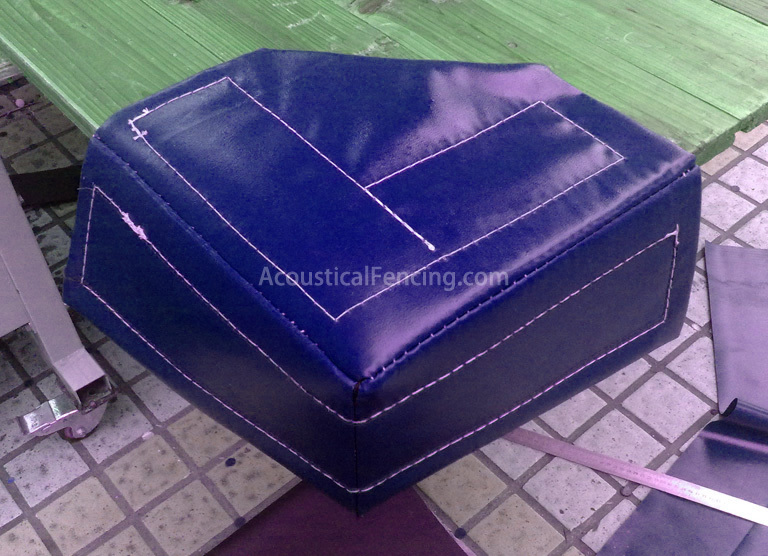 Blender sound enclosure is custom made to suit your exact size and environment requirements. Once a solution has been chosen, we are able to quickly manufacture and supply the sonic curtains, either internally or externally. They are available as a kit with easy installation instructions or alternatively we will arrange to install at your location.